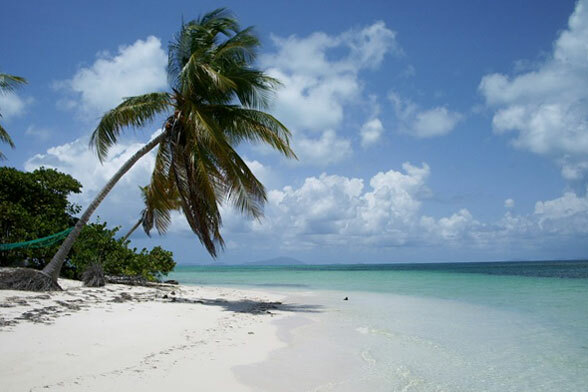 Anegada, the most northeasterly of the British Virgin Islands is a sandy island that sits on top of a Pleistocene reef that is now exposed above sea level. 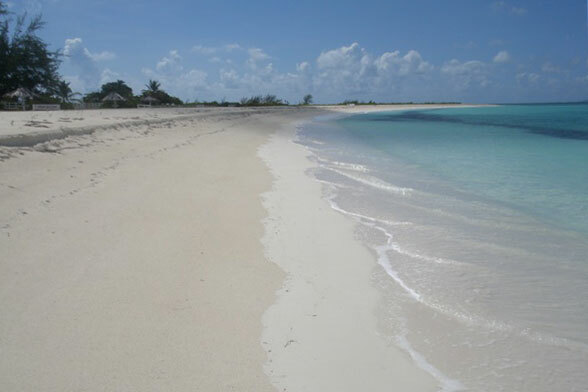 The island’s northern shore has a wide modern reef terrace that supplies broken down shell materials for a sandy beach that runs along the entire northern shore of the island for almost 20km. The fine white sand of the beach, palm trees and the aquamarine colour of the sea create a classic tropical beach landscape. The sparsely-inhabited island has a few tiny beach resorts (comprising a bar and/or a few holiday cottages) such as Cow Wreck Bay (named after the wreck of a ship carrying a cargo of cows), and Loblolly Bay. 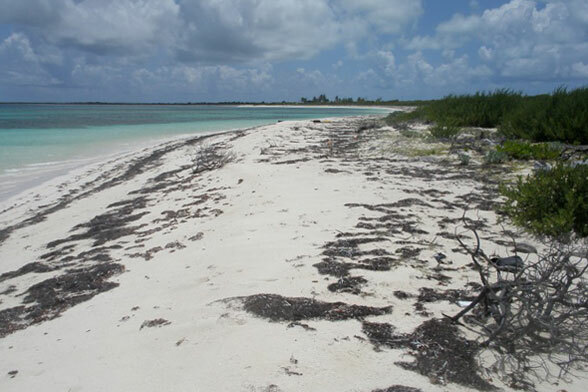 Although the island is exposed to Atlantic waves, most of them break on the wide reef and lose most of their energy before reaching the beach. 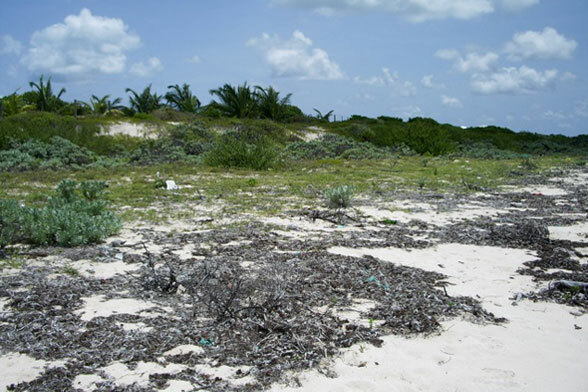 The beach is therefore well protected and historically the shoreline has been quite stable. Despite this, there are local areas of erosion that are probably created by local sediment scarcity as sediment moves along the shoreline. At one such area, west of Cow Wreck Bay, the coastline has been retreating for a few years. Unfortunately, this was one area in which a few holiday cottages had been built. 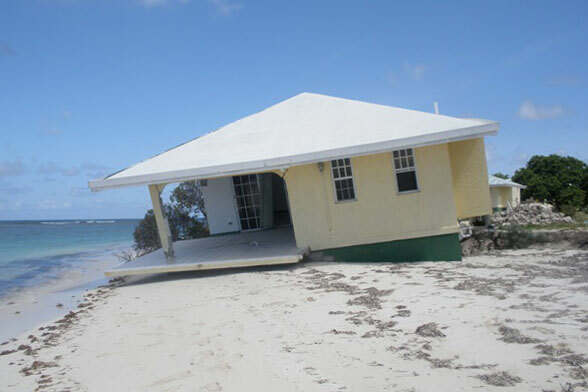 One cottage has now (October 2009) been undermined by shoreline recession and is falling into the sea. Another will soon go the same way. Not far away along the coast to the east, is an undeveloped area where, ironically, the beach is advancing. That area, however, has a well-defined dune scarp that indicates that until recently, it had been eroding. The situation of alternating areas of erosion and accretion suggests that this stretch of coast, while protected from high wave energy, advances and retreats locally as the available sand moves along the coast creating local deficits and surpluses. Fortunately no shoreline stabilization has taken place on the north side of the island and the coast remains free to fluctuate in response to waves and sediment variability and so retain its natural beauty. 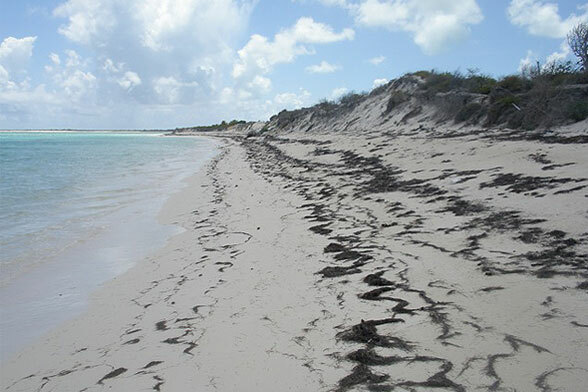 The photographs show the natural beauty of the Anegada north shore beaches on a stable section of coast, an area that was once eroding but which is now accreting seaward, and an area of active erosion. The collapse of a holiday cottage is also shown, which, while bad news for its owner, is good news for the beach.